Almost 85% of hate crime prosecutions now result in a conviction, according to the CPS' 7th Hate Crimes and Crimes against Older People Report, which has been published today. As the number of cases referred to the CPS has also increased, so have the proportion which are taken forward to court - indicating that stronger cases are being prepared (almost 80% of hate crime referrals (79.3%) from the police result in a decision to prosecute). A new action plan has also been published, aimed at building on these improvements and focusing on handling of disability hate crime cases where conviction rates have also increased but numbers of prosecutions have not risen as expected. The proportion of successful outcomes of disability hate crime cases for 2013-14 increased from 77.2% to 81.9%, however the number of convictions fell slightly over the year from 494 to 470. To address this and to focus on our handling of these difficult cases, a disability hate crime action plan has been created by the CPS and published today. The action plan includes a commitment to improve how the CPS identifies and records elements of disability hate crime; assures that cases are identified and prosecuted correctly; and provides prosecutors with new tools for the job. The plan recognises that disability hate crime has unique features, which include violence and verbal abuse but also more insidious or exploitative offending. Proactive work has also been undertaken in the area of homophobic and transphobic hate crime, and this year the Transgender Equality Management Guidance was issued along with specific guidance on the flagging of transphobic hate crime. The proportion of homophobic and transphobic hate crime cases resulting in a guilty plea increased from 71.6% to 72.3% against a background of an increase in the number of guilty pleas over the year from 785 to 819. The conviction rate remained at a high percentage of 80.7%. Alison Saunders, Director of Public Prosecutions said, "It is very reassuring to see that the hard work and effort we have undertaken to improve our performance on hate crime has seen such positive results. Not only has the volume of cases referred by the police increased generally, but the decision to prosecute and conviction rates have increased too. "Of course, I recognise that there is more to do, especially around disability hate crime. Whilst I'm delighted to see a record high conviction rate and that the rate of cases we are charging is up to 80% from 72.4% last year, we will be working hard with the police to encourage more disability hate crime cases to be referred to us, and we will be really focusing on our handling of these cases through the court system. I am doing this through our new Disability Hate Crime Action Plan, which addresses where we must improve our handling of disability hate crime cases. 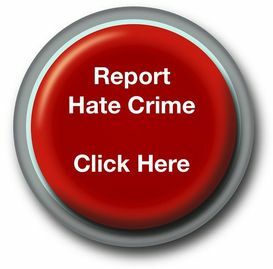 "Hate crimes can be particularly devastating to victims who have been targeted simply because of their race, their religion, their sexuality, gender, disability or age. These crimes display an ugly element of our society and one which it is very important that police and prosecutors feel empowered to tackle so they can bring offenders to justice." Disability hate crime can be more difficult to identify than other forms of hate crime, as it often comes in the form of exploitation or crimes committed by those pretending to befriend the victim. We have, and are introducing more, training and guidance for prosecutors to ensure this incorporates the full range of offending. We want to improve the experience of victims of disability hate crime, so we have been conducting detailed research to ensure both that victims' experiences are improved, and that prosecutors have all the resources they need to recognise, and prosecute, cases of disability hate crime.